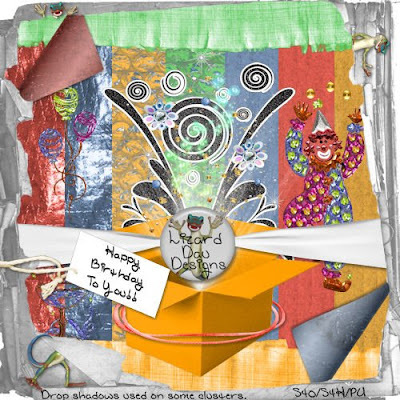 Lizard Dau Designs: Happy Birthday To You!! Thank you for sharing your part of this beautiful kit. Beautiful kit, thanks a lot! Thank you so much for this Freebie. I want to let you know that I posted a link to your blog in Creative Busy Hands Scrapbook Freebies Search List, under the Wedding, Birthday/Party Theme(s), Mardi Gras/Carnaval Theme post on Mar. 02, 2009. Thanks again.